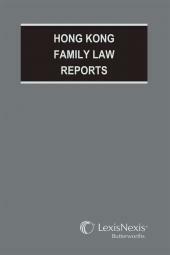 A comprehensive collection of judgments covering the full spectrum of family law. Few Hong Kong family law judgments make it to the general law reports. The result has been that practitioners are denied the ability to arm themselves with the relevant authorities. This lack of resources has not only impeded practitioners but had a direct impact on service levels to litigants. The Hong Kong Family Law Reports address this gap. This comprehensive collection of judgments offers evidence of the intellectual arguments surrounding judicial discretion in the full spectrum of family law cases. The Hong Kong Family Law Reports is intended to support the consistency and continuing development of this important area of the law and is an essential reference for practitioners and academics alike.